*Science Fiction, Fantasy & Horror / Crime, Spies & Sleaze: This update features a set of books where authors have crossed from established genres to explore new horizons. Jack London, Hank Janson and Edgar Wallace, best known for Crime have Science Fiction novels with The Star Rover, The Unseen Assassin and The Green Rust respectively. 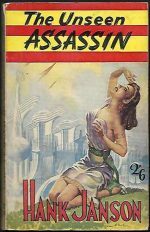 In fact, cognoscenti of Hank Janson’s Reginald Heade cover art will find the distressed damsel on the cover of The Unseen Assassin very similar in pose and dishevelled clothing to those adorning the detective fiction (although the background art is by Ron Turner). 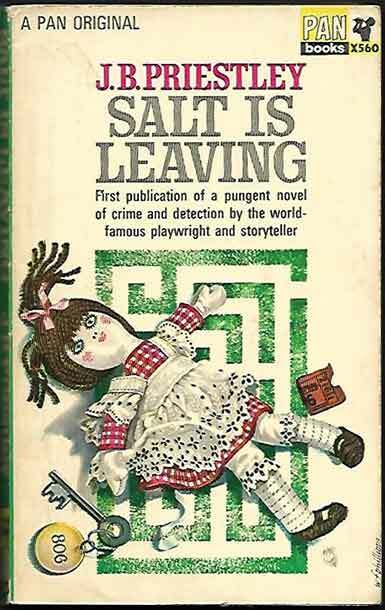 J B Priestley, now best known as a playwright has a Crime novel – Salt Is Leaving. The last three publications defy easy classification, but we’ve put them in our Science Fiction, Fantasy & Horror category: The Starcomber, originally a novella by Alfred Bester, Catch-22 (Joseph Heller) is it Fantasy? Horror? a Polymesmeric Bestseller? and finally Dragaonflame And Other Nightmares by Don McGregor, who’s best known as a comics writer.